If there are so many books about leadership on the shelves of small business owners and in the offices of corporate executives the world over, then why do so many of these same people struggle to lead effectively? Strangely enough, we can largely answer this question by looking to a book written in Spain over 400 years ago. Generation after generation has found Miguel de Cervantes’ novel Don Quixote to be relevant to their lives, but few have sought in it inspiration or ideas about leadership. Don Quixote tells the story of a peculiar old man in Spain who, after reading too many books about knights and chivalry, sets out on his own adventure seeking fame and honor as a great knight. The only problem is that he’s hundreds of years too late and completely delusional. For over 800 pages Don Quixote, with his pudgy squire Sancho Panza in tow befuddles those around him, mistaking windmills for giants and prostitutes for royalty. Neither Don Quixote nor Sancho would be considered exemplary leaders. However, their relationship does teach us something very important about leadership. Don Quixote and Sancho Panza are constantly having conversations, and over time they change each other’s beliefs and as a result change each other’s behaviors. Books and ideas can start a change in us, but only relationships can hold us accountable and guide our transformations through to completion. 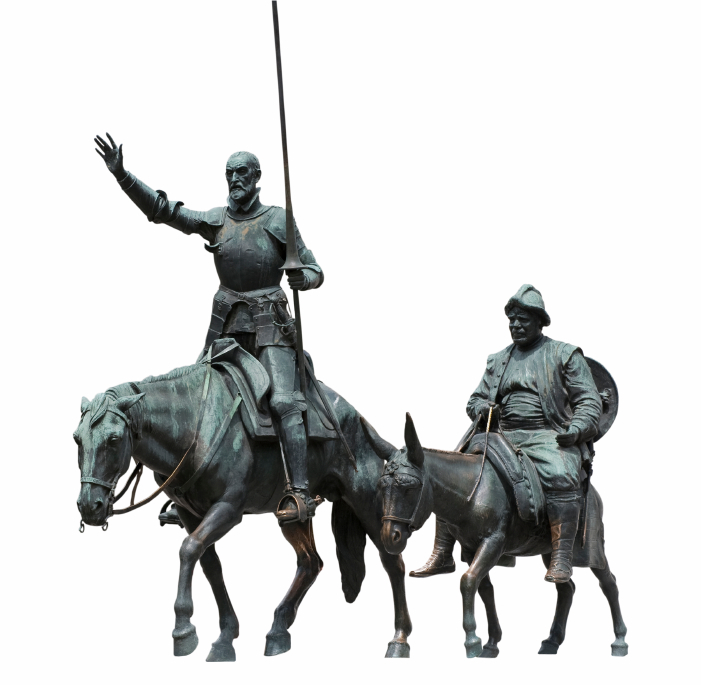 This is what we can learn from the book Don Quixote and what so many small business owners and corporate executives fail to realize: knowledge and information alone are not enough to change our behaviors and deliver lasting results. As an executive coach it is my job to first help you determine where you want to go. Then we journey to that place together. It is during that journey that I help you transform yourself into a more impactful leader and help you to clarify the distorted perceptions you may have about your situation, yourself, and those around you. The end result is better leadership that results in more effective teams. Before you consider purchasing one more book or attending one more conference, consider finding an executive coach. And remember: reading books and keeping companions can change you forever, so pick both of them well.